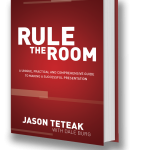 How to Be a More Authentic Speaker - Presentation Skills Training - Online Public Speaking Courses | Rule the Room Today! 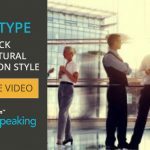 Before you can give an amazing talk, you need to use your natural presentation style to be authentic. 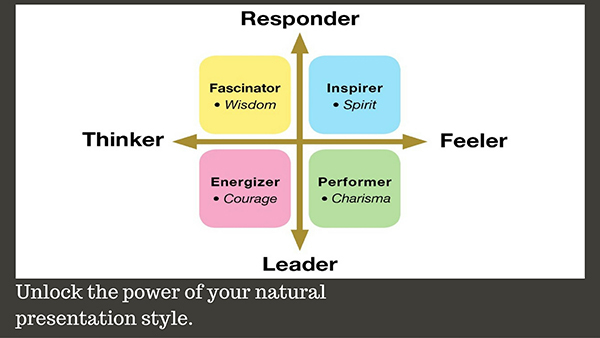 Use our proven 9-Step Recipe to unlock the power of your natural presentation style. This is Part 2 of a 3-part series on becoming a better public speaker by being more authentic. The disconnected, un-successful presenters don’t know their style. The flailing presenter isn’t connecting in a genuine way with the audience. If this sounds like you… it’s not your fault. They don’t teach this stuff in public speaking courses. Heck, they don’t even teach this stuff in graduate communications school. …once you know YOUR style, and embrace it, you connect with your audience and they TRUST you. Here’s the BIG concept: You were BORN as one of these styles. Take the FIPE quiz now to find your style. Learn how to be entertaining and make your audience feel comfortable and relaxed using your natural style. This is so simple you might miss it, but it is just this simple. Discover your style. Embrace it… Succeed. Let’s take a look at the two groupings of people on this quadrant…the top of the quadrant and the bottom. Either way, you need to be aware. 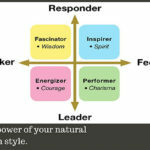 You need to know your position on FIPE quadrant so you can supplement and cover the rest of the audiences’ needs. 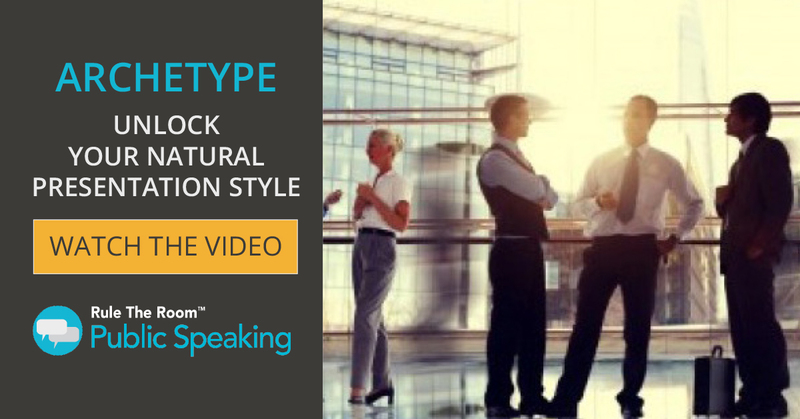 In the Archetype Presentation Style training we’ll show you how to unlock the power of your natural presentation style, cover all of your audience needs and make friends with you who are. We’ll show you EXACTLY how we took four people to the top of their public speaking careers (Hint: Get Paid to talk. ).